We know you’re busy, which is why we offer fast and reliable document shredding and document destruction services for your personal or professional business needs. 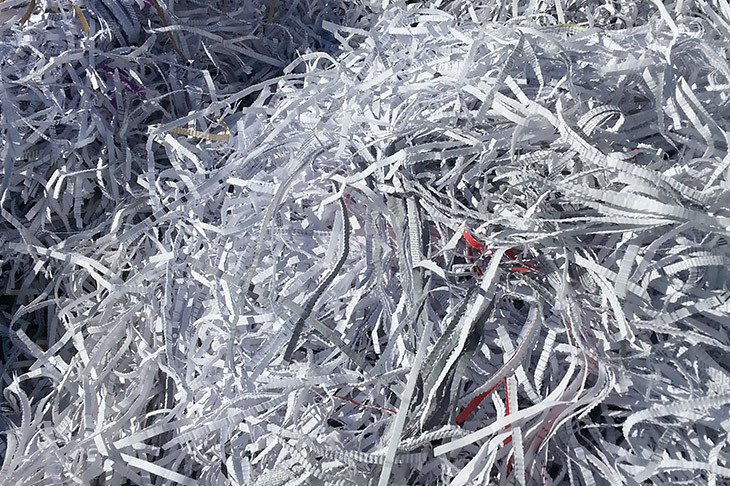 We provide quality on-site and off-site shredding services to meet both your business and personal needs. We can pick up your documents, or you can bring them to us. We provide you with a certificate of destruction to prove that your documents have been destroyed. 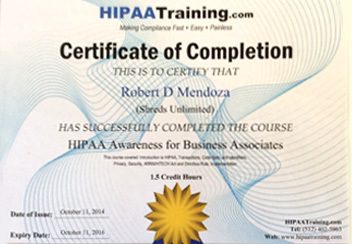 In addition, our company is licensed, bonded, insured and HIPPA certified. 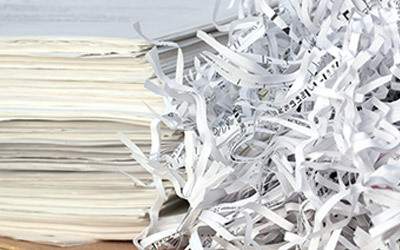 When you need documents shredded, you can bring them to us, or we can pick them up from you. Our services are fast, reliable, and convenient. 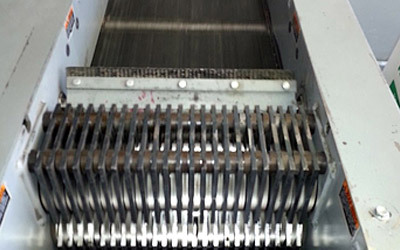 We always welcome walk-ins to our facility, and you can watch as your documents are shredded. Give us a call at (661) 208-9597 to find out how to schedule a service call or for our operating hours. If your business produces a lot of physical documents, chances are those papers may need to be disposed of at some point in the future. It is never safe to deposit documents with any personal or otherwise private information into a regular trash can. To dispose of sensitive documents safely and securely, Shreds Unlimited provides secure shredding bins to our clients that need them. 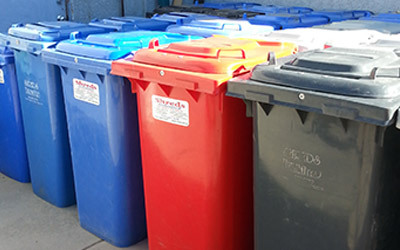 These bins protect your documents until we arrive to shred and recycle the paper. 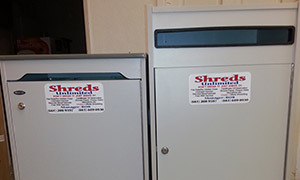 At Shreds Unlimited, we not only accept walk-in service for document destruction while you watch, but we also provide secured shredding consoles for businesses and medical offices. Our shredding consoles are locked and sturdy. These containers come in various sizes while only offering a small slot to deposit papers. The deposit slot is large enough to accept thin stacks of paper at a time, but small enough to prevent any hands or other devices from retrieving any documents for the protection of personal and sensitive information.